Ahh, it's good to be back! A couple of days ago, we received this little treat for the nimble-fingered Super Hexagon fans among you. The Super Hexagon MLP Pack changes the game's music to songs from Balloon Party, its typeface to Celestia Medium, and its mechanical sound effects to tidbits from the show. 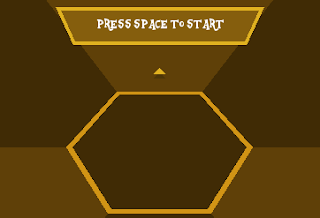 To install, just extract the downloaded files and copy them into Super Hexagon's data folder (C:\Program Files (x86)\Super Hexagon\data is the Windows default.) Installing the pack will overwrite files, so back up the data folder beforehand for safety. Enjoy!